Mysuru: Never in their wildest imagination they would have thought that their crime would be caught. They assumed that it was a “perfect crime” and they have successfully dodged the long arms of law. To their dismay, they were arrested based on their own bragging about the murder they had committed a year back. Now, the “death-by-heart-attack” has been converted into a murder case and the Police are on the lookout for other killers including the wife of the victim, the chief conspirator. 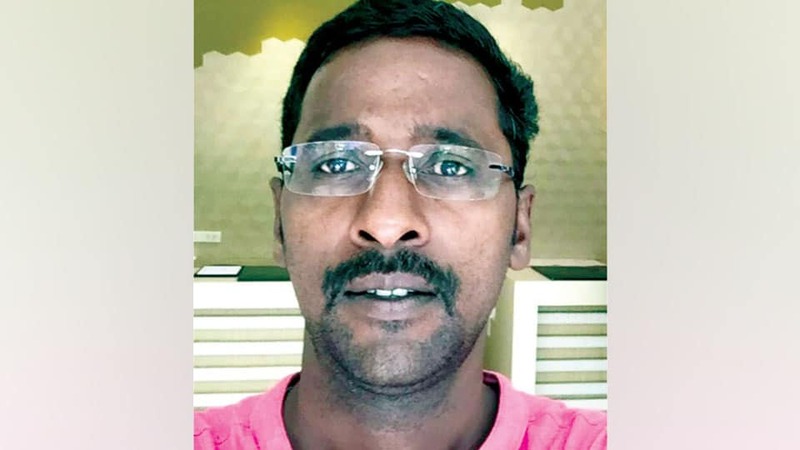 This is an interesting case that took place a year back that began with the death of 40-year-old Krishna, proprietor of Chanakya School at Dattagalli in city. According to Krishna’s wife, her husband died of heart attack. Believing her version, the relatives and the perpetrators of the crime cremated the body in a hurry. After cremation, the killers heaved a sigh of relief as post-mortem was not conducted on Krishna’s body which otherwise would have revealed foul play. Soon after the death, Krishna’s wife performed all the rituals every month and even took over the administration of the school. Not even once her actions evoked suspicion among her relatives and she managed to convince them that she was a victim of cruel fate that snatched away her husband at a young age. Convinced that their crime would not be caught, the killers roamed freely and rather boldly. They had a free run till a fortnight ago when, in a drunken stupor, they bragged about the crime and how they managed to hoodwink the Police. The venue was a bar at Kuvempunagar where three youths, after downing a couple of pegs, started discussing about Krishna’s murder. Losing their presence of mind and unmindful of the crowd present at the bar at around 10.45 pm, the youth discussed how they had smothered “school” Krishna to death on his own bed using a pillow. One of the youths even said it requires “Dum” (brute courage in local Kannada) to commit a murder and get away with it. He also bragged about how they had “maintained” that they are innocent. After their bragging session, the youths clapped their hands and ordered more liquor. They failed to realise that their conversation was being overheard by one person sitting near their table who happened to be Krishna’s relative. The next day, Krishna’s relative narrated the conversation that took place among the youths at the bar to other family members. They discussed the conversation among themselves and confronted Krishna’s wife who feigned ignorance. She denied that her husband was murdered and vehemently stated that he died due to heart attack and the issue was settled last year itself. Unconvinced by her replies and at times evasive answers, the family members approached the Kuvempunagar Police Station and filed a written complaint seeking a detailed probe. Realising the magnitude of the crime and the people behind it, City Police Commissioner handed over the case to City Crime Branch (CCB). Investigating the case, CCB ACP Gopal and Inspector Jagadeesh rounded off one Manjunath on Wednesday (Nov. 8) and grilled him, who narrated how Krishna was fast asleep and how they, with the active involvement and directions from his wife, used a pillow to suffocate him to death on his own bed and made it a case of massive heart attack. He also told the CCB sleuths how they destroyed evidence and managed to convince the family members to cremate the body, before anyone grew suspicious. Manjunath said that he used to supply drinking water to Krishna’s school and gradually he came in contact with Krishna’s wife. After some close encounters, Manjunath and Krishna’s wife decided to eliminate Krishna and executed their plan accordingly. The Police have now booked a case of murder under IPC Section 302, destruction of evidence (IPC 201) R/W Section 34 (one or more persons involved in the crime). A manhunt has been launched to arrest Krishna’s wife and other two accused.